You are here: Home / Recipes / Dessert / How To Make Fondant Flowers & Bees! 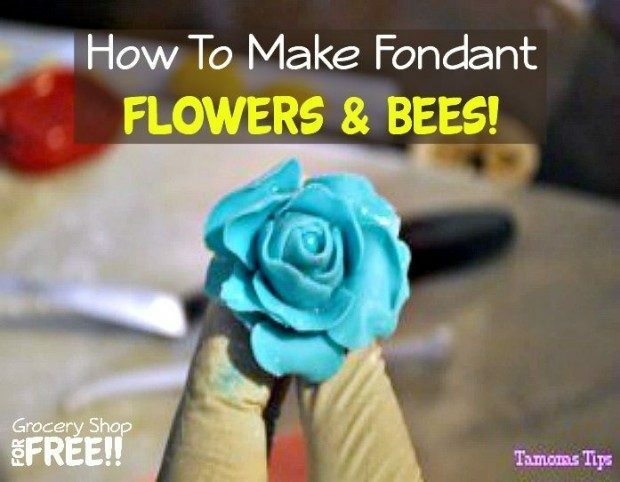 Tamona is back to teach us how to make Fondant Flowers And Bees! I took a cake decorating class years ago with a friend. I mad ea few cakes, but, my friend made a great business from it! She is also a school teacher and teaches swim lessons in the summer as well as decorates wedding and all occasion cakes…. over acheiver! lol Anyway, here’s T and her Fondant Bees and Flowers! Spring is here and it is time for the bees to fly and flowers to grow! I decided to make my own this time! 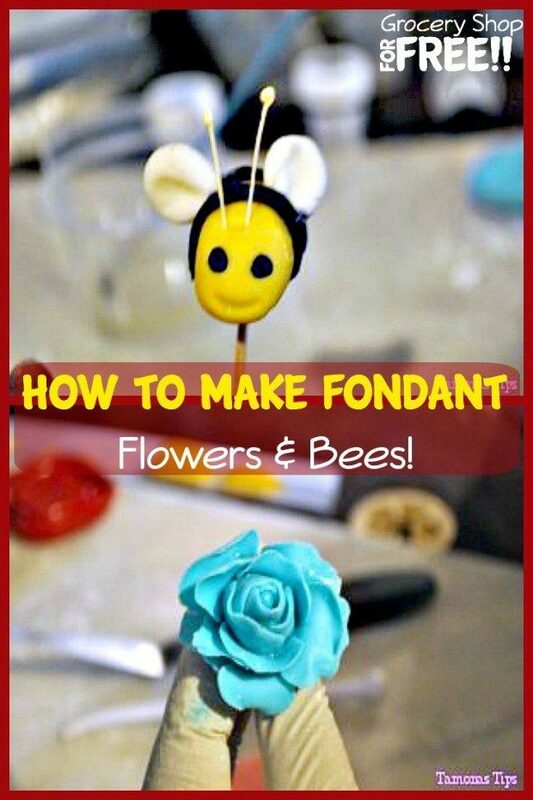 Watch this video for instructions on how to create your own fondant roses and fondant bees! I know my videos can be a little lengthy but I have few pictures to entice you to view them anyway! 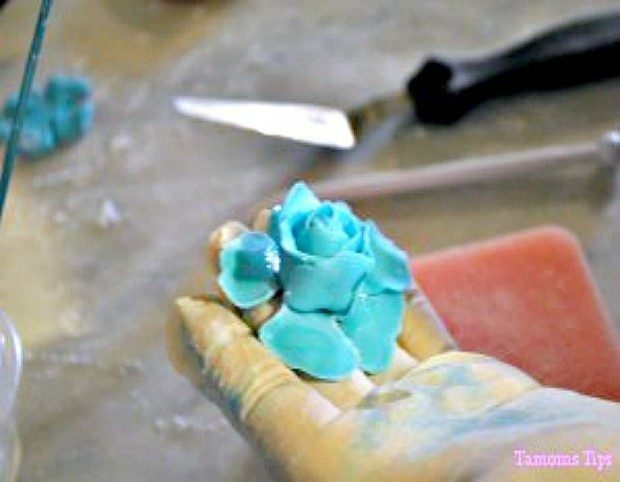 Learn the order in which you should layer your petals. Tamona is the author of Tamona’s Tips, a humorous website that helps people find legitimate work at home. Along with helping people find work at home, Tamona also blogs about her passion for couponing, crafts, and all things overweight. There is never a dull moment on Tamona’s Tips. Your video was awesome! You are adorable and so are your bees! lol Thanks for the kind words – glad it was helpful for you!